Camp Jabulani is a luxury safari lodge in the Kapama Game Reserve, close to the Kruger National Park. Relais & Chateaux accredited, the lodge can be counted on to provide outstanding accommodation, cuisine, facilities and service, and a memorable Big 5 safari. 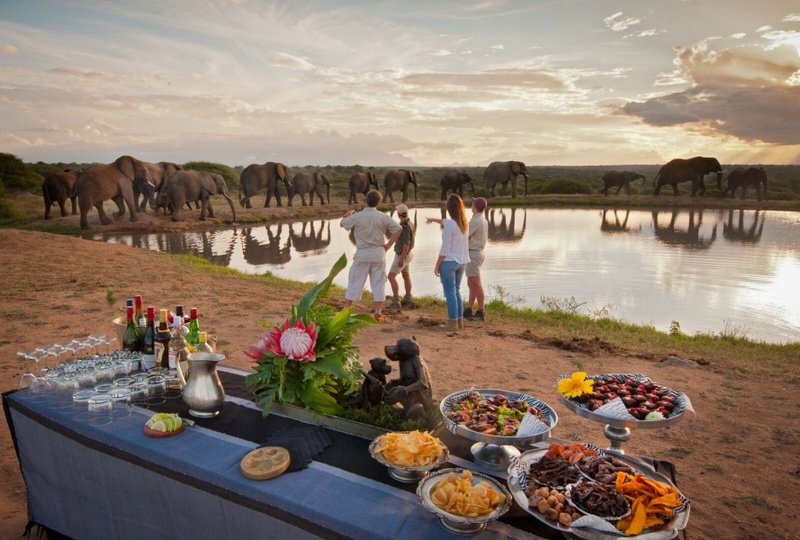 The camp is a safe sanctuary for a herd of orphaned elephants, and guests can enjoy a unique and immersive experience with these giants, in addition to regular safari activities. Camp Jabulani is situated on the bank of a seasonal stream, in the shade of great trees. Six suites are havens of privacy, with opulent interiors, and private decks with plunge pools. Splendid sole-use facilities for families and groups of up to six are available at Zindoga Villa. HONEYMOON SPECIAL OFFER 2019: Honeymooners staying for at least 3 nights - the bride gets 50% off on her stay. The offer also includes a romantic turndown and a bottle of sparkling wine. Subject to availability and valid for travel until end of May 2019. Guests will be requested to supply proof that the stay is within 9 months of wedding date. STAY 3 PAY 2 SPECIAL OFFER 2019: Pay for 2 nights and get a 3rd night free in a Superior Suite. Subject to availability and valid for travel from January - May and again from September - 15 December 2019. STAY 4 PAY 3 SPECIAL OFFER 2019: Pay for 3 nights and get a 4th night free. The offer applies to the Superior Suites and the Zindoga Villa. Subject to availability and valid for travel from 10 January - 15 December 2019.